Welcome to the strange and dangerous world of Bryan Grieg Fry. This is a tale of a life spent living and working with snakes. 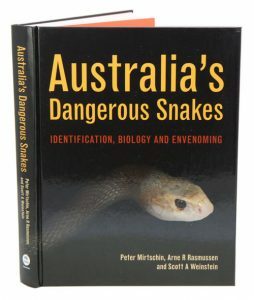 Lots of very, very poisonous snakes and other venomous creatures, from the Malaysian king cobra to deadly scorpions. 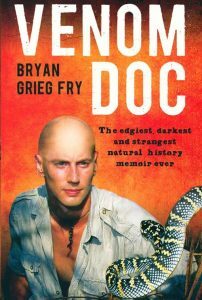 In this action-packed ride through Bryan’s life you’ll meet the man who’s worked with the world’s most venomous creatures in over 50 countries. He’s been bitten by 26 poisonous snakes and stung by three stingrays – and survived a near-fatal scorpion sting while deep in the Amazon jungle. He’s also broken 23 bones, including breaking his back in three places, and had to learn how to walk again. But when you only research the venom you’ve collected yourself – the adventures, and danger, will just keep coming. Dividing his time between scientific research and teaching at the University of Queensland, TV filming and collecting expeditions around the world, Bryan and danger are never far from one another.